If you’re an auto racing fan, today’s your Super Bowl. Even if you’re not, it’s still a pretty major day in terms of American sport, for today is the day of the running of the Indianapolis 500. 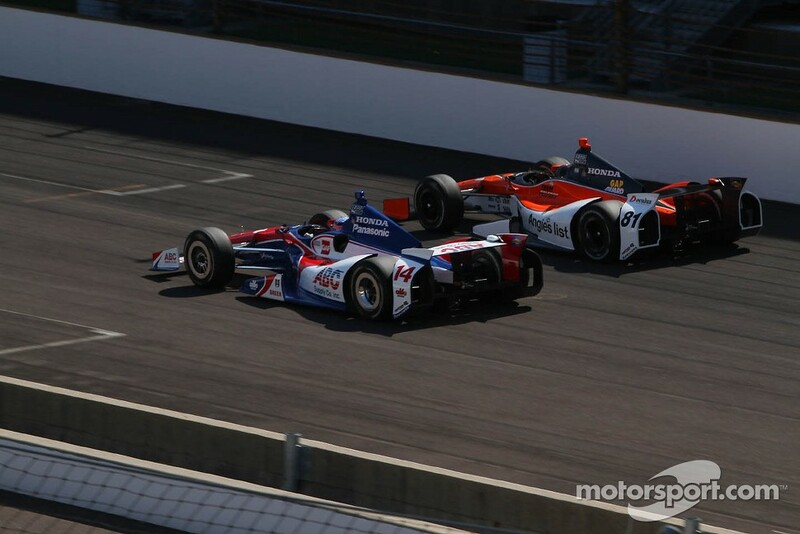 As I mentioned yesterday, I don’t know all that much about the Indy 500, but I do know there are two drivers, Helio Castroneves (who’s starting in the third row), and Dario Franchitti, who is a Scot (and starting in the sixth row) have both won the race three times and would love to crack the 4-time-winner status. Aside from that, I recognize many names, but others, like the poll-sitter, aren’t too familiar to me. That’s why we have Rob. 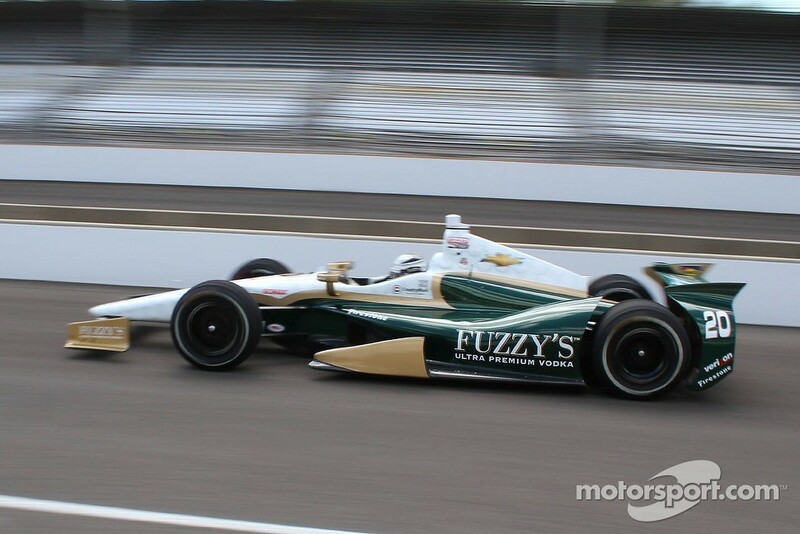 •Pole- 20 – Ed Carpenter-Ed Carpenter Racing – Ed has always been strong at ovals, winning what would turn out to be the season finale of 2011 with Sarah Fisher before forming ECR last year. Fuzzy’s Vodka continues their sponsorship of Ed and his team. 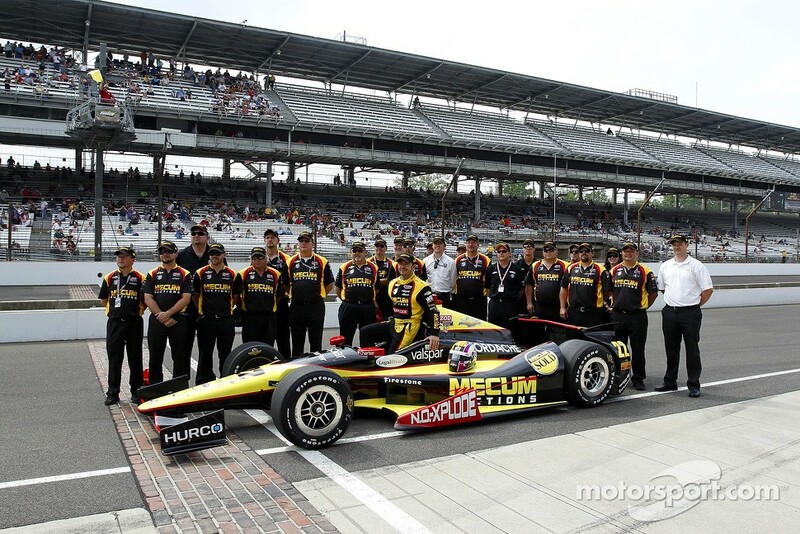 •2nd- 26 – Carlos Munoz-Andretti Autosport – Andretti’s Indy Lights driver gets to try his hand at the big cars. He has been strong all month, and looks to have that continue in the race. He uses the number that Marco gave up in the offseason. Electric is on the sidepods of his car. 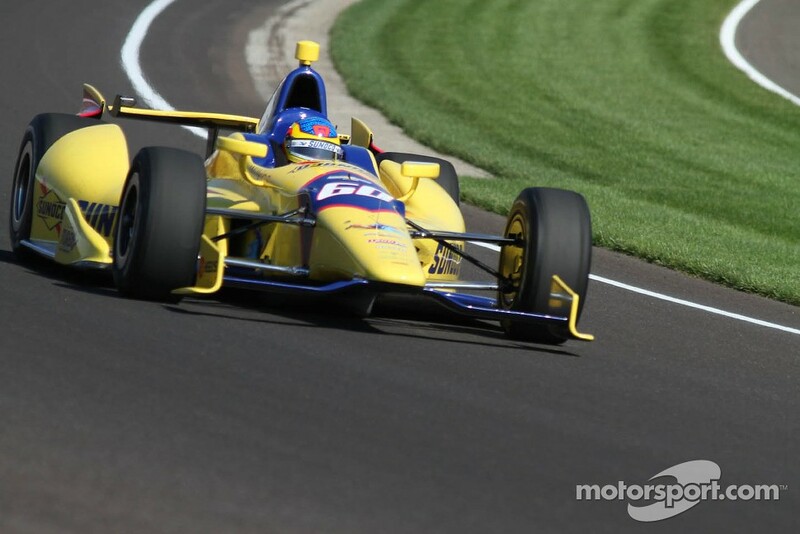 •3rd- 25 – Marco Andretti-Andretti Autosport – Marco ran the number 26 until this season. He hopes a number change and an improved philosophy will lead to improved results. 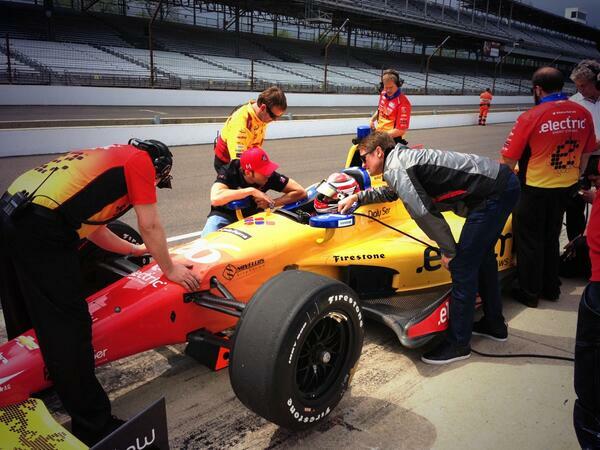 So far they have, and he’ll look to become the first Andretti to win the 500 since his grandfather Mario in 1969. RC Cola continues to be Marco’s primary sponsor. 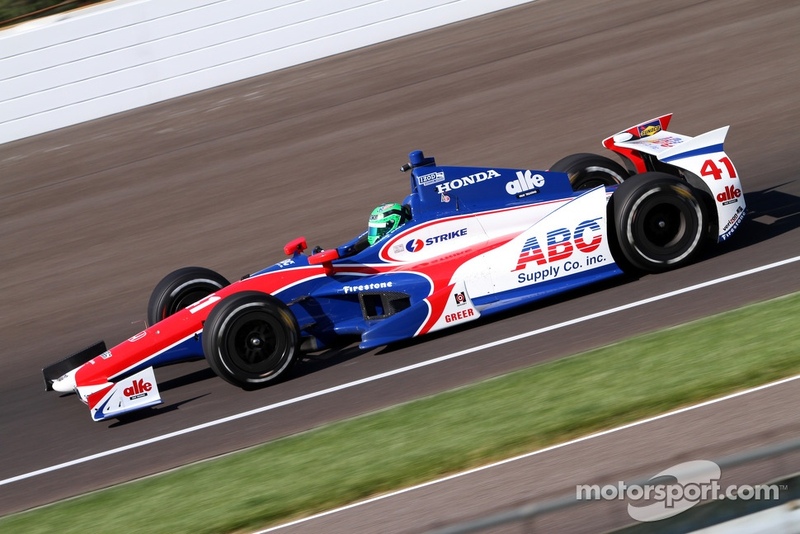 •4th- 5 – EJ Viso-Andretti Autosport – EJ has been a journeyman in IndyCar, having raced for HVM, KVRT, and now Andretti. He currently sits 11th in points, so it seems like his crash happy days is over. 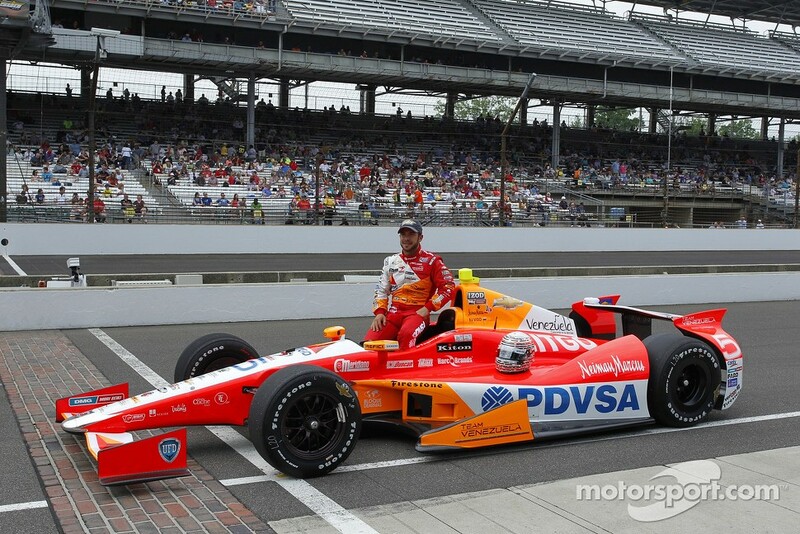 Viso is technically a ride-buyer, since the PDVSA/Citgo sponsorship on his car actually came to the team through him. 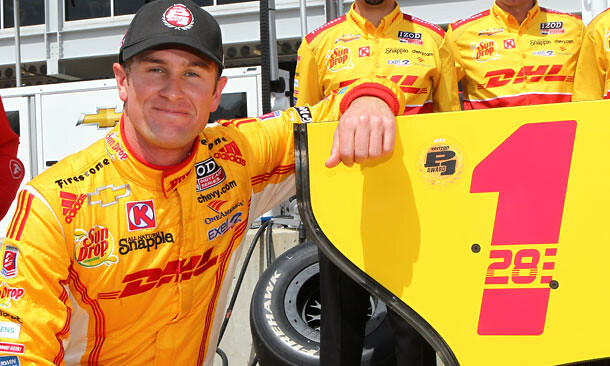 •5th- 2 – AJ Allmendinger-Penske Racing – The first shock in qualifying, not that this talented open-wheeler turned stock car racer qualified well, but that he out qualified his full-time teammates. He hasn’t been stellar in his first 2 races, but the longer practice should help him. He’ll have Izod sponsorship for the race. 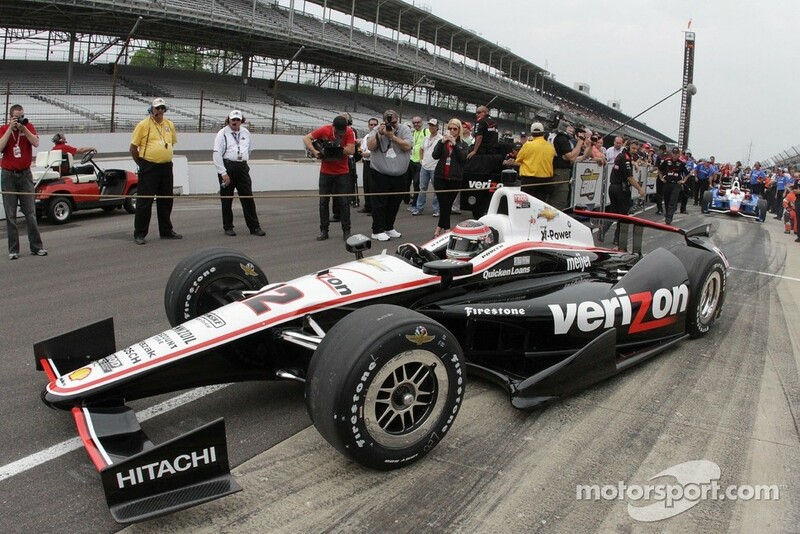 •6th- 12 – Will Power-Penske Racing – Will hasn’t had the season he is used to having. You have to go back to Brazil last year for his last win. He’ll also be looking at turning around his Indy luck. 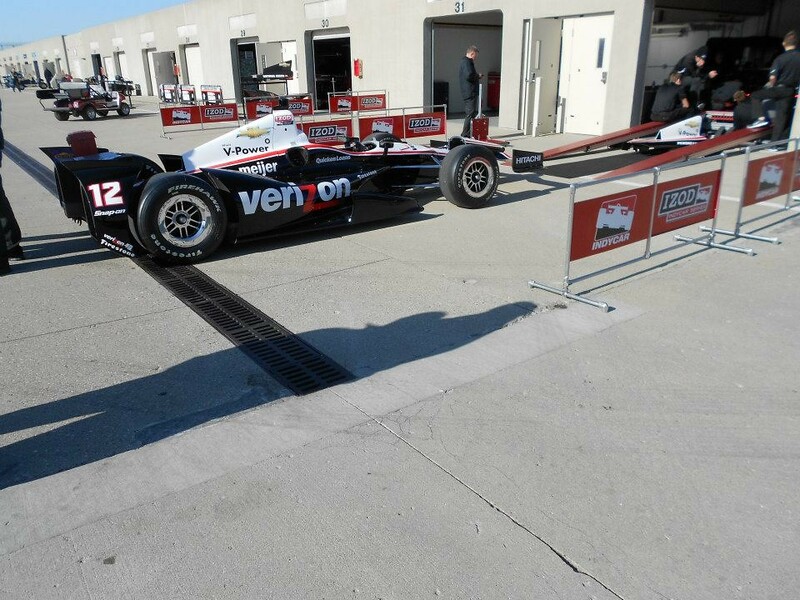 Will continues to run the Verizon colors for Penske Racing. 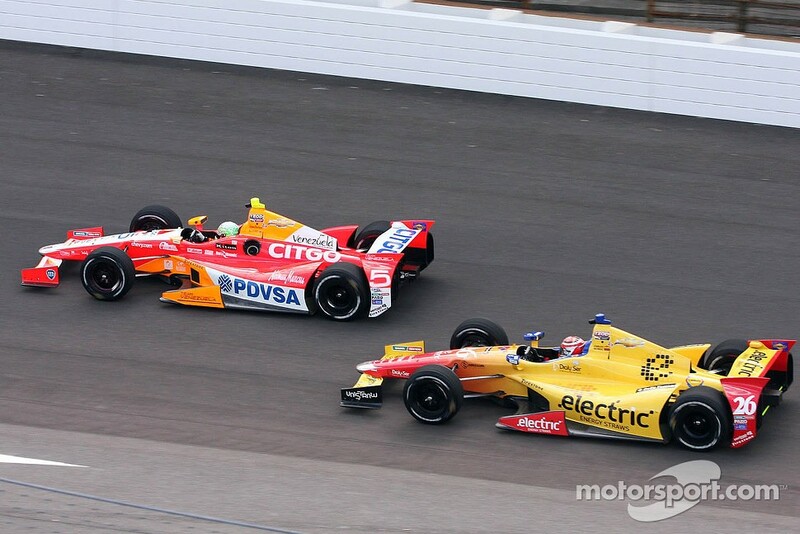 •7th- 1 – Ryan Hunter-Reay-Andretti Autosport – Ryan got his start with Rahal-Letterman and was the poster boy when Izod joined the series. When Izod’s sponsorship left Rahal-Letterman, it seemed like Ryan’s career was stuck in the mud. 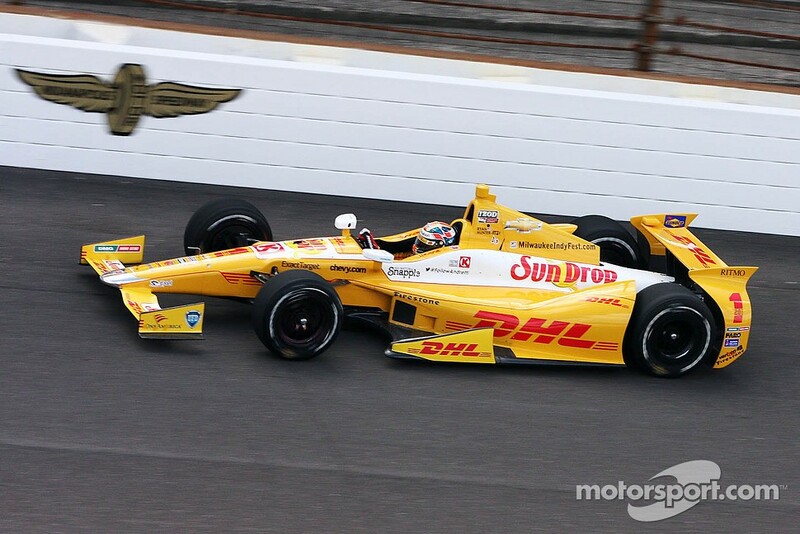 Andretti stepped in, with DHL and Sundrop, and it paid of last season as Ryan brought home his first championship. DHL and Sundrop will be on the car for the race. To keep the shout-out to people with Cancer, the number 28 is worked into the number 1. 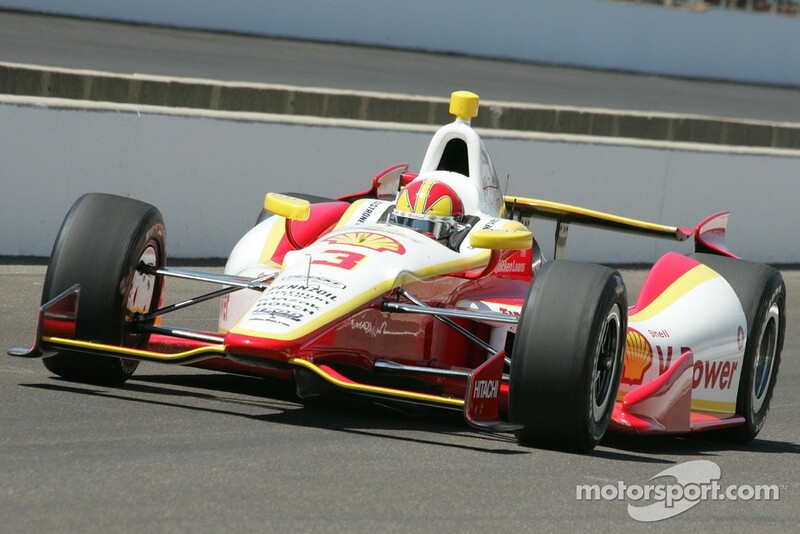 •8th- 3 – Helio Castroneves-Penske Racing – The highest qualified 3-time winner, Helio has also had a very strong start to the season, holding the series lead after the 2nd and 3rd rounds. 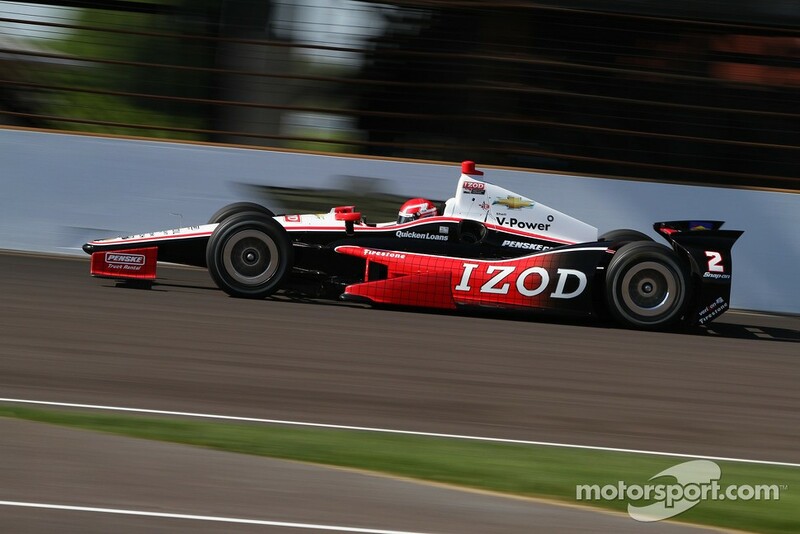 He has had a strong month, and held the provisional pole until Will Power went out. 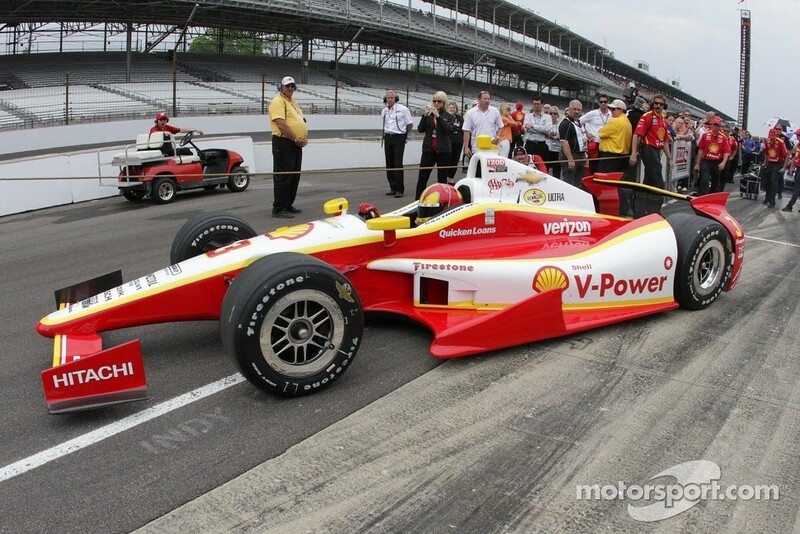 As with the last 2 seasons, Shell/Pennzoil will be on Helio’s car for the 500. 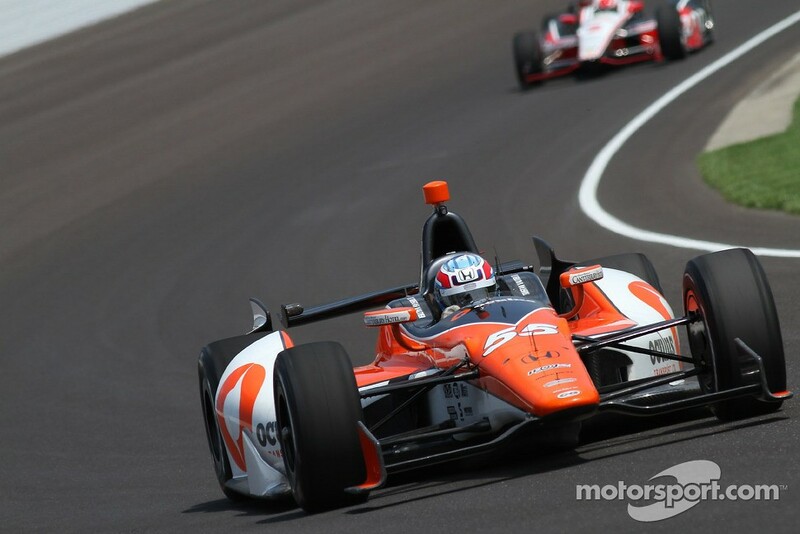 •9th- 27 – James Hinchcliffe-Andretti Autosport – James inherited this ride after the events at Las Vegas in 2011 that sadly took the life of Dan Wheldon. 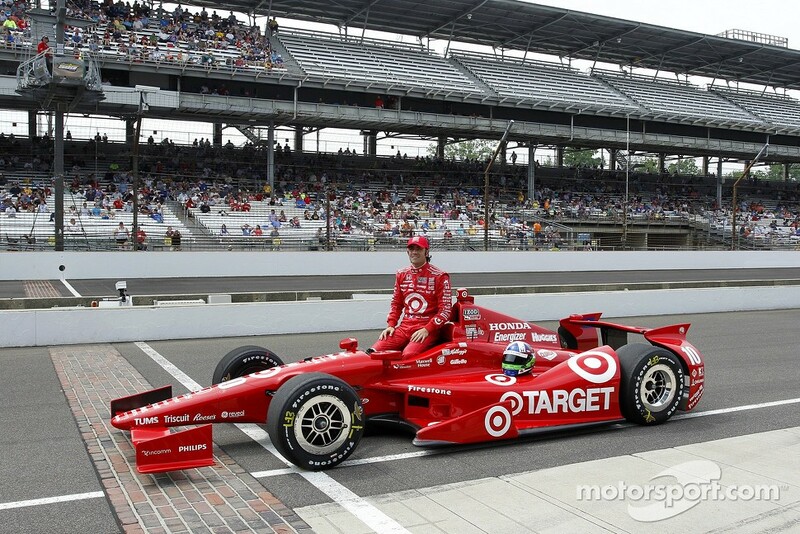 It is a connection he shares with Helio, who was signed to Penske after the death of Greg Moore in 1999. James has had a hit or miss season, either winning or failing to complete the race. He’ll drive the neon-green Go-Daddy car. 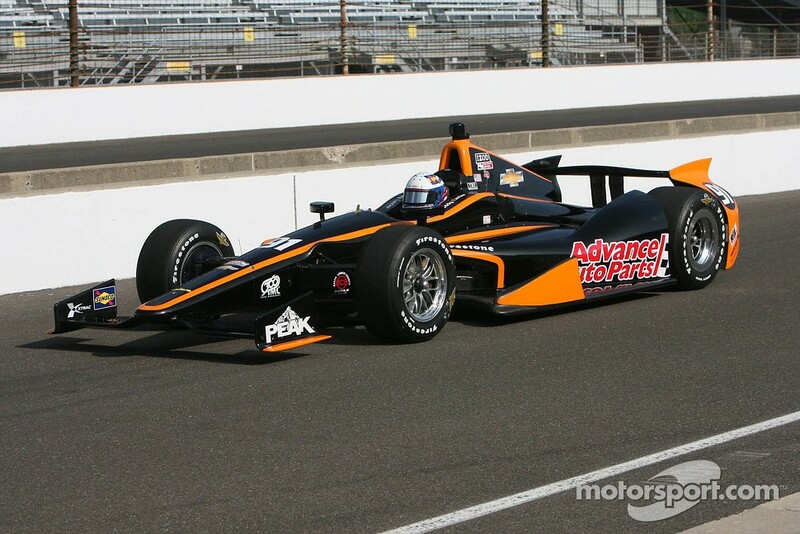 •10th ”“ 4 – JR Hildebrand-Panther Racing – JR finished 14th last year, after finishing 2nd to Dan Wheldon in 2011. 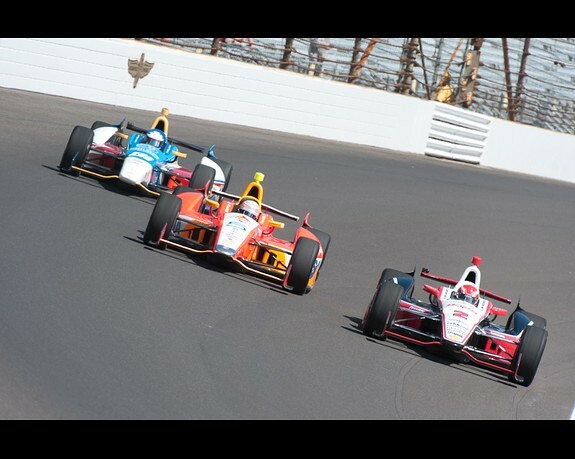 Panther has always been strong at Indy, though they always come up the bridesmaid. 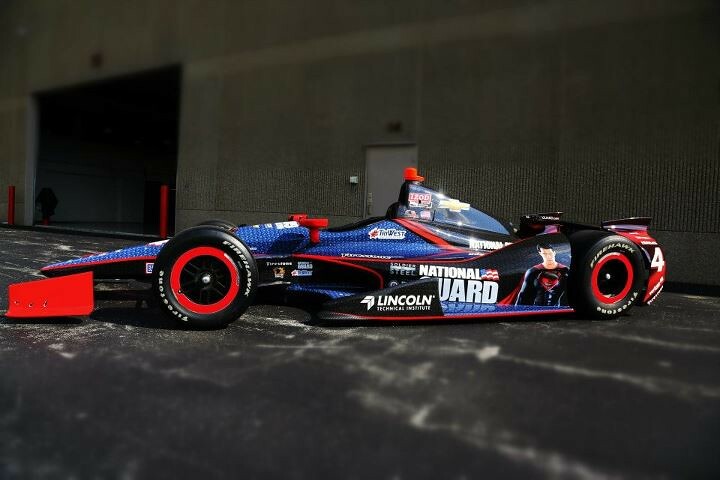 JR will be in the National Guard/Man of Steel car this year. •11th- 98 – Alex Tagliani-Barracuda Racing/BHA – Alex must like the 11th spot on the grid, he qualified there last year. Tags usually does well at Indy, but not well enough to be a factor. He’ll be in the Barracuda networks car. 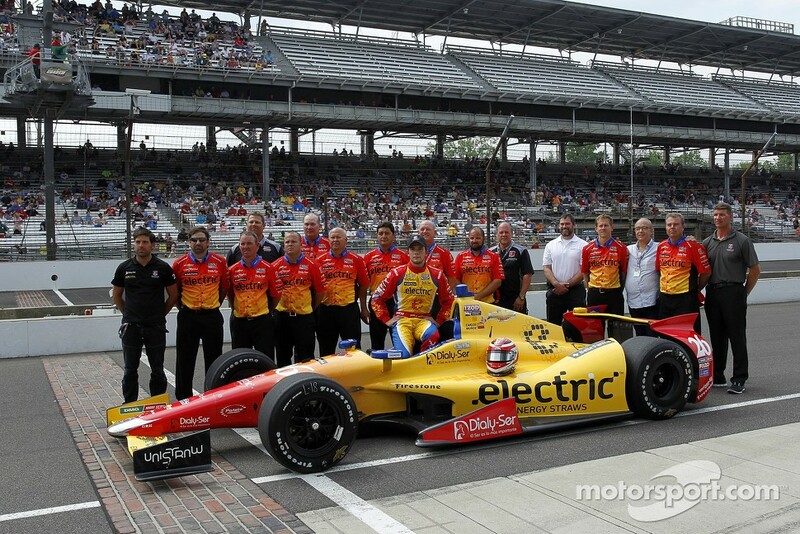 •12th ”“ 11 – Tony Kanaan-KVRT – Tony was a long time driver for Andretti Autosport until 7-11 pulled their sponsorship, and left TK without a ride. KVRT picked him up. He has been strong at Indy, but just hasn’t had the luck to get to victory lane. He’ll drive with Hydroxycut colors in the 500. 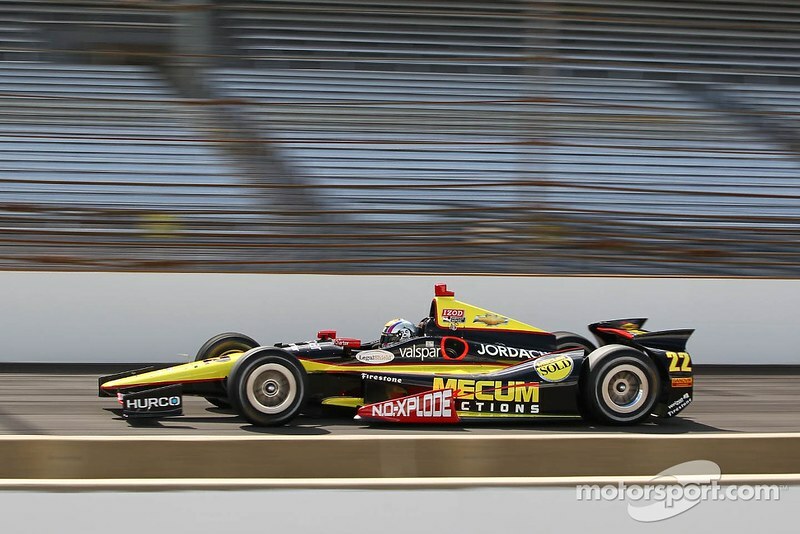 •13th- 22 – Oriol Servia-PantherDRR – This is one of those teams and drivers that was really left in a bad spot with the Lotus debacle last season. So much so, that unless they impress someone with their 500 result, this will be it for the season for them. Servia is a good racer, but bad luck tends to find him more often than other drivers. He’ll be driving the Mecum Auto Auction car. 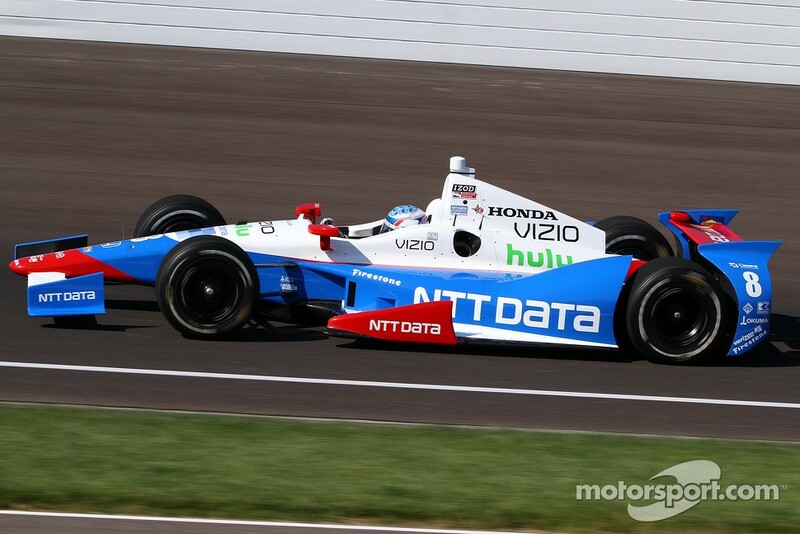 •14th- 19 – Justin Wilson-Dale Coyne Racing – Justin and Dale Coyne have been a strong team, and hope to continue that here in Indy. Hondas were stronger in the race last year, and Ganassi started further back, so we still aren’t out of the potential winners yet. Justin will be in the Boy Scouts sponsored car. 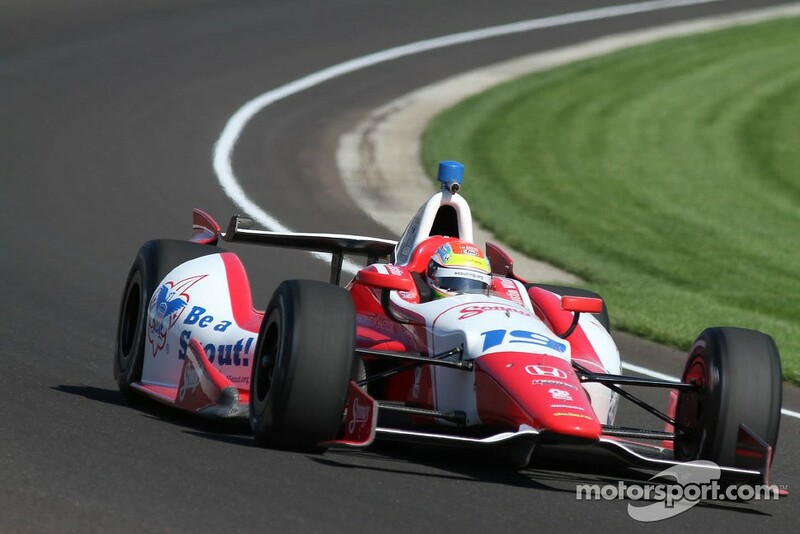 •15th- 7 – Sebastien Bourdais-Dragon Racing – Seabass started his career with Newman-Haas racing. He left the (then) Champ Car team for Formula 1, and went into Endurance Racing with Peugeot after the foray into F1 flaked out. 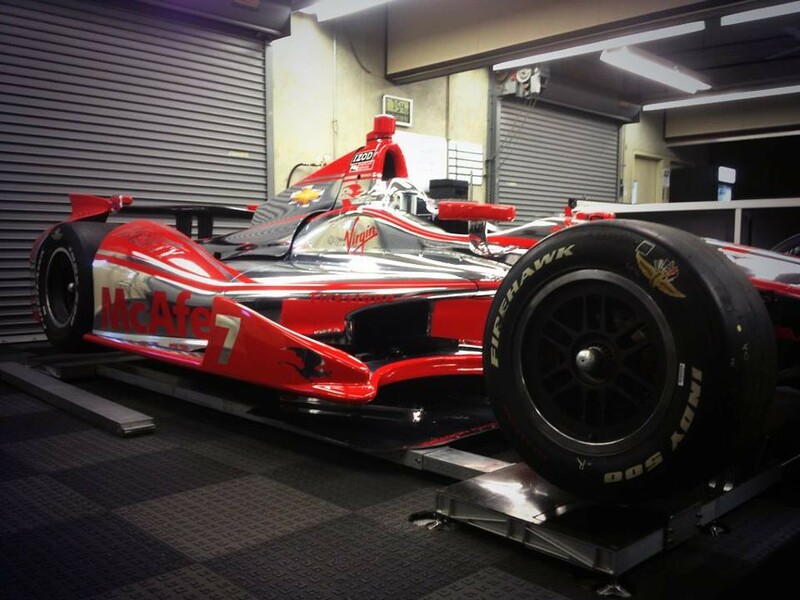 He returned to IndyCar racing last season with Dragon Racing. He was the driver able to get the most out of the underpowered Lotus engines. 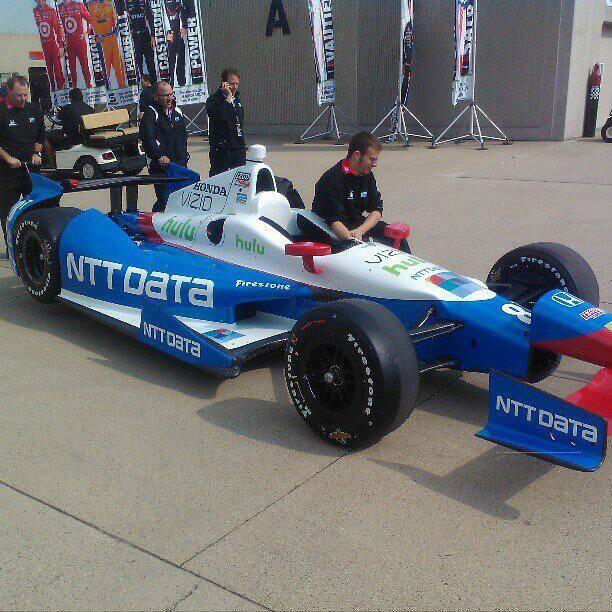 Dragon got Chevy engines at Indy last year, and had to downsize to one car post Indy to stay with Chevy. 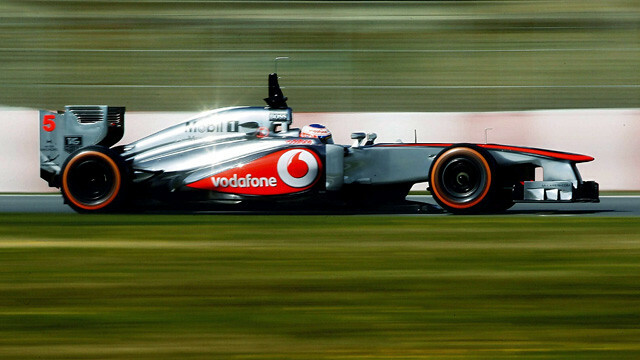 Seabass will be driving a Mclaren-esque, McAfee sponsored car. 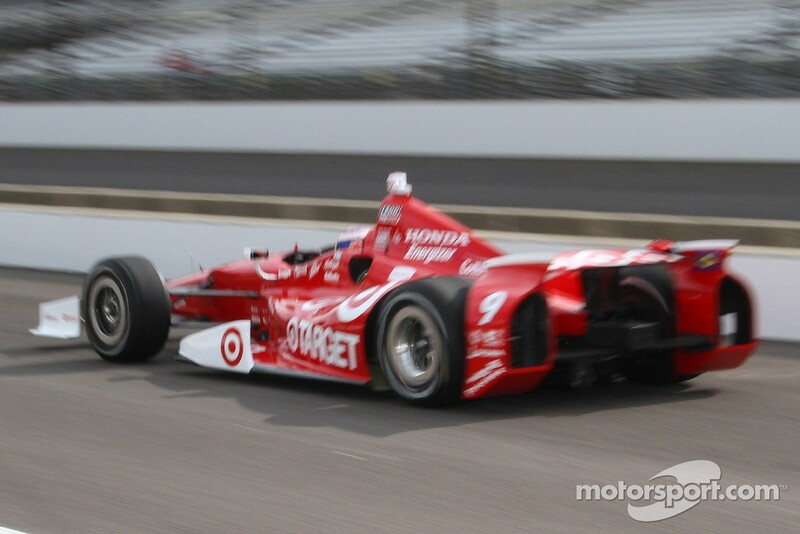 •16th- 9 – Scott Dixon-Ganassi Racing – Scott starts where his teammate Dario started ”“and won from- last year. Assuming we see something similar from the Honda engines this year, it is hard to rule out either Target sponsored Ganassi driver. Scott will be driving the Target car with the white endplates on the wings. 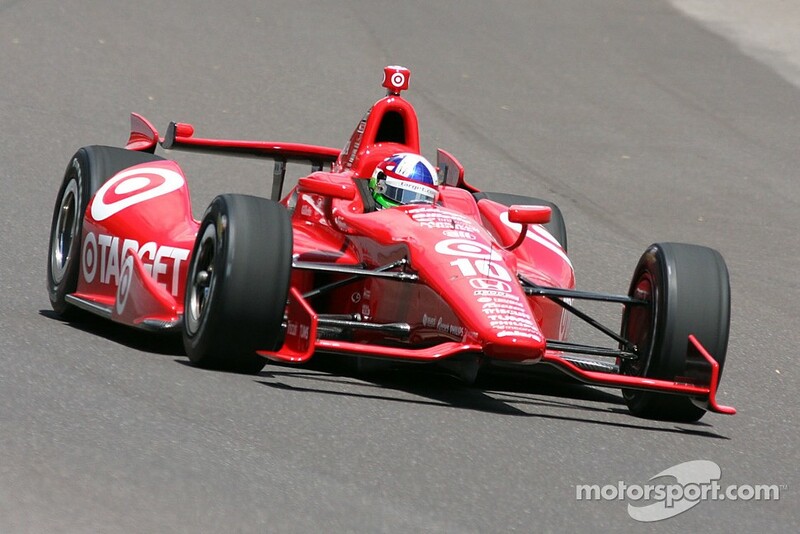 •17th- 10 – Dario Franchitti-Ganassi Racing – Dario is the newest member of the 3-win club and joins Helio in the race to be the 1st foreign born member of the Indy 500 4-wim club. Dario is historically strong at this track, and starting this far back shouldn’t hurt. He will drive the all red Target car. 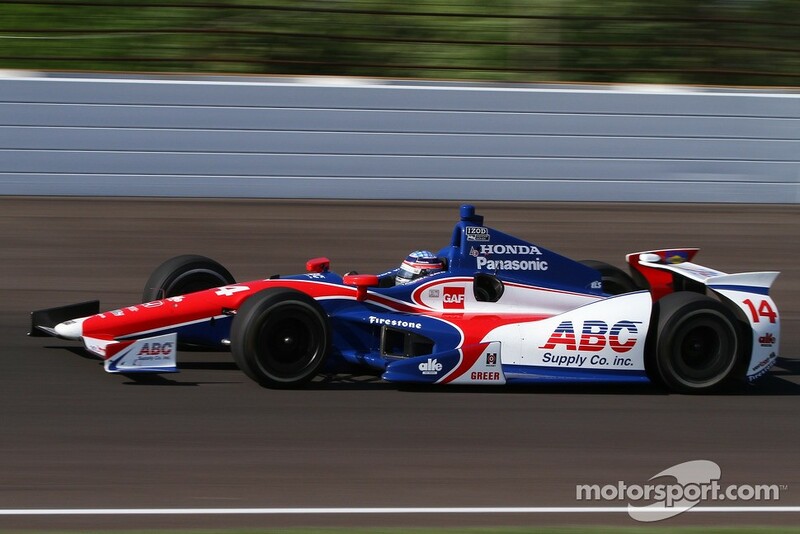 •18th- 14 – Takuma Sato-AJ Foyt Enterprises – Sato is another driver with F1 experience. He won in Long Beach, and come close to winning Indy last year, crashing in turn one on the final lap. 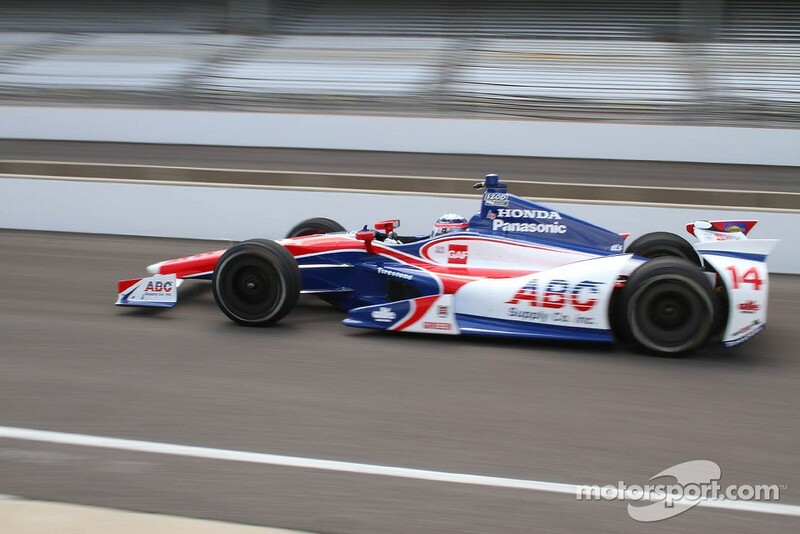 Both AJ Foyt cars carry the same livery and primary sponsorship from ABC Supplies. The difference is in the secondary sponsors. 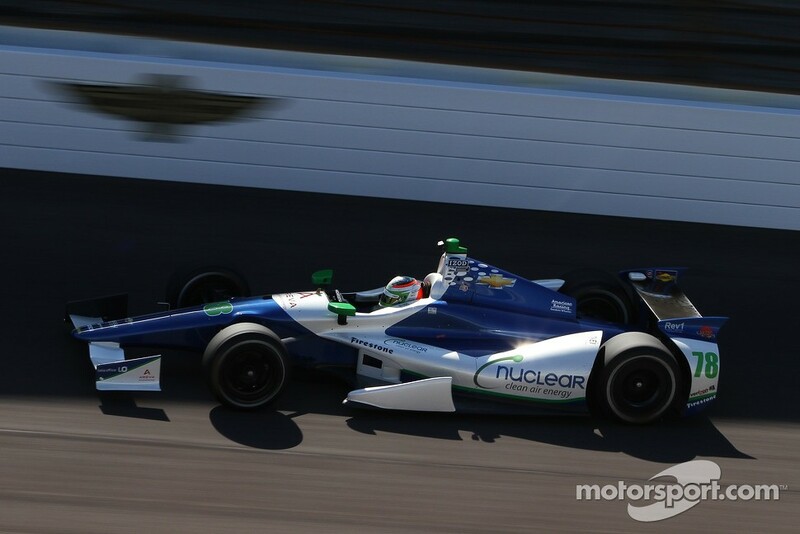 Sato carries Panasonic, GAF, and Japan sponsorship. 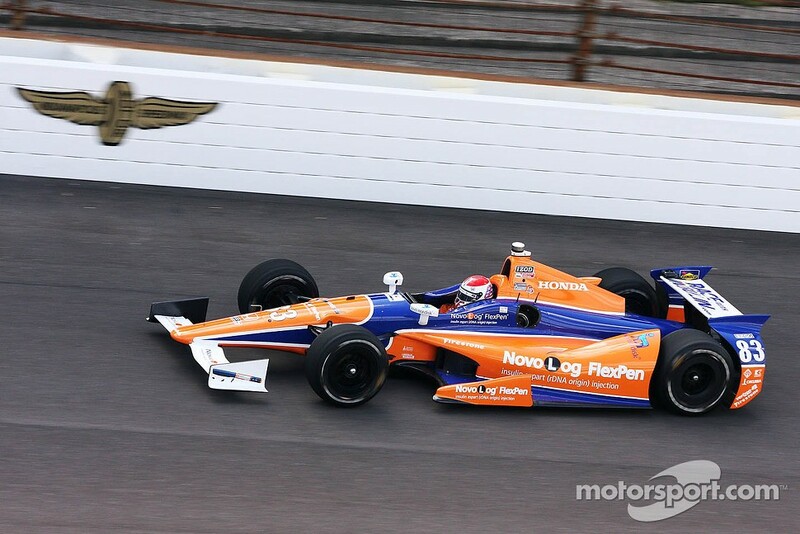 •19th- 83 – Charlie Kimball-Ganassi Racing – Charlie is a diabetic racer, and does a lot of work to on that front. He has had good finishes, but hasn’t been able to crack into the win column yet. He drives the NovaNordisk Race with Insulin car. 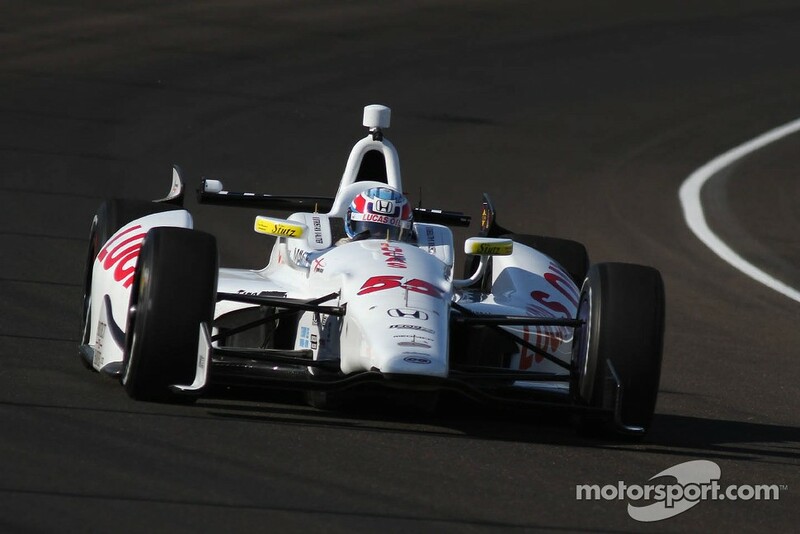 •20th- 16 – James Jakes-Rahal Letterman Racing – Jakes spent his first 2 seasons with Dale Coyne before moving over to Rahal Letterman for this season. He drives the Acorn Stairlifts machine. 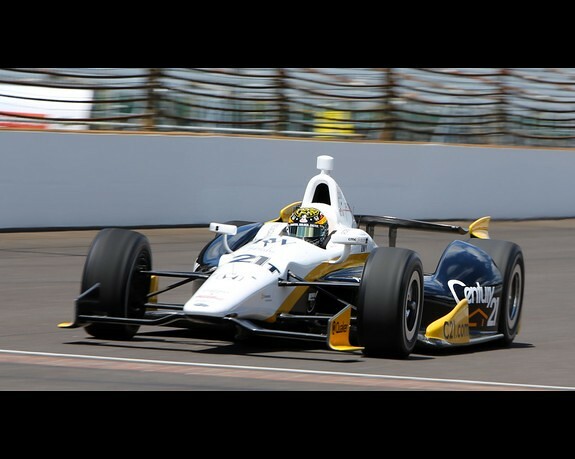 •21st- 77 – Simon Pagenaud-Schimdt Motorsports – Pagenaud was left out when Champ Car and IndyCar merged. 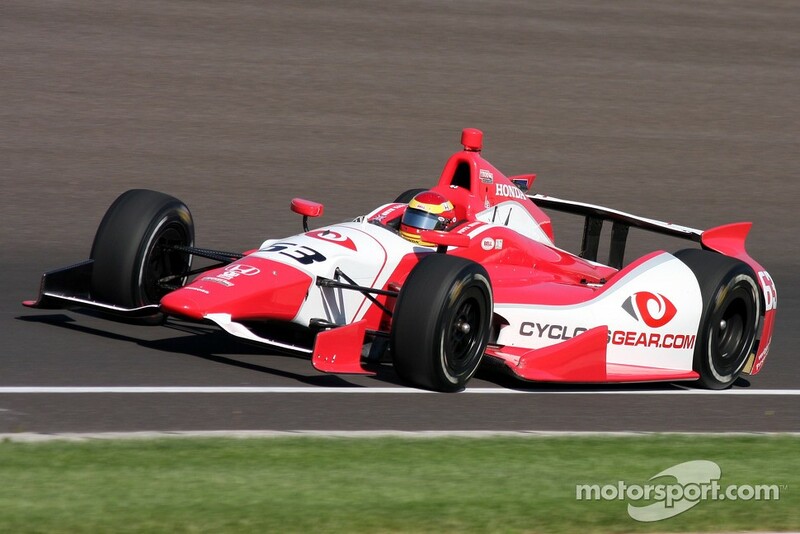 He, like Bourdais, turned to Endurance Racing. He filled in for a few races in 2011 for DRR and HVM. 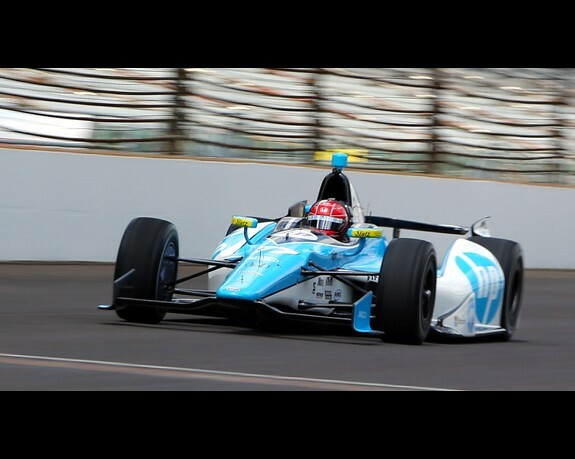 Before returning full-time to IndyCar racing with Schmidt in 2012. 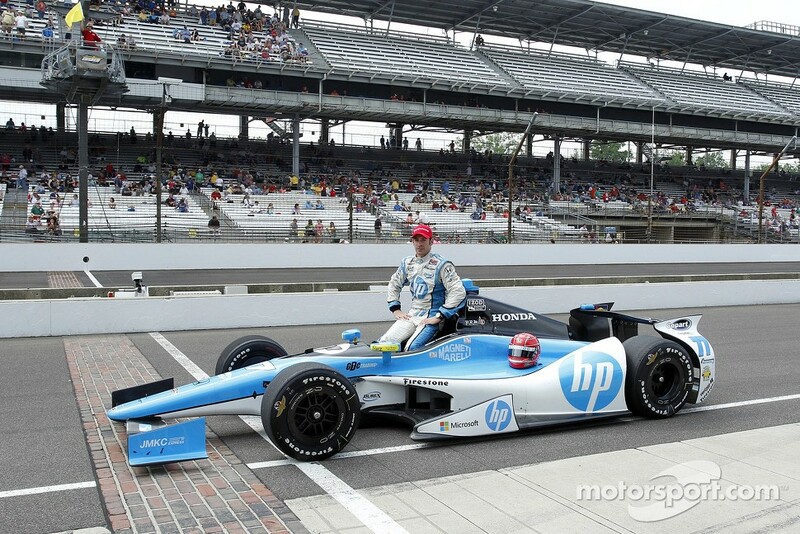 He will drive the HP sponsored Car. •22nd- 60 – Townsend Bell-Panther Racing – Townsend is a perennial one-off driver, having driven a car for Schmidt in the last 3 500s, before making the switch to Panther this year. He is a strong driver, but since the merger one-off entries haven’t been historically strong. He will drive the Sunoco/Turbo car. 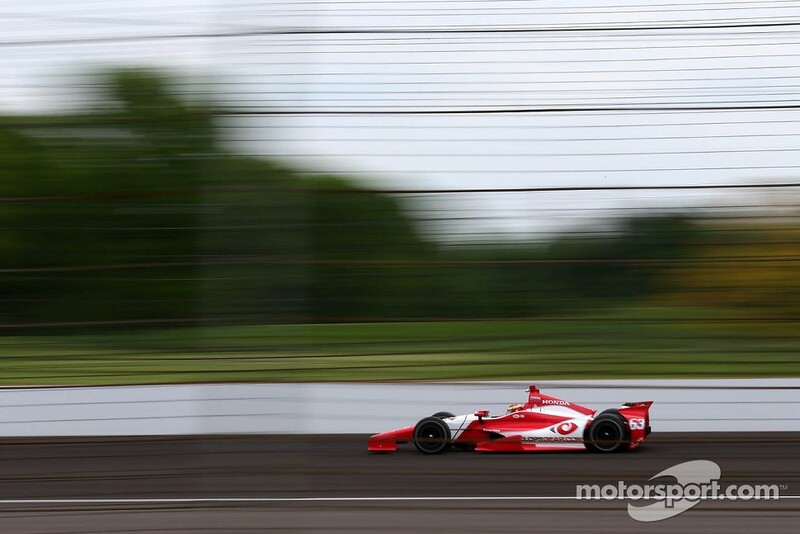 •23rd- 8 – Ryan Briscoe-Ganassi Racing – This is Ryan’s second stop at Ganassi, after his first ended with a fiery crash into the Chicagoland fencing. This will be a one-off for Ryan, he is running full-time in ALMS this season. He will drive the NTT-Data car. •24th- 78 – Simona de Silvestro-KVRT – Simona (and HVM) were the team caught out from all the other teams leaving Lotus last year. Her 500 last year lasted all of 9 laps. With a new team and a new engine this year should be a better year for her. She was the last driver to qualify on Pole Day. She still has Nuclear Energy has a sponsor. 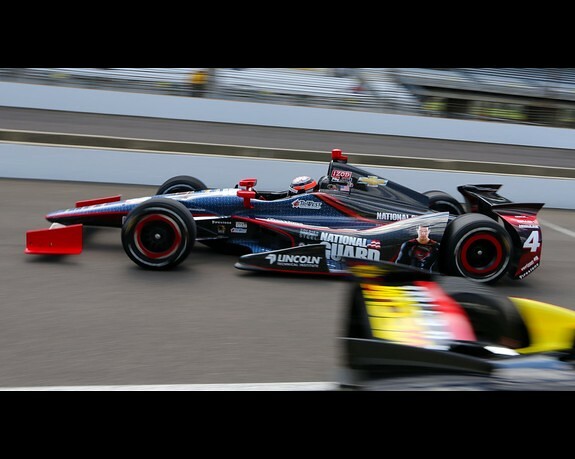 •25th- 21 – Josef Newgarden-Sarah Fisher Hartman Racing – Josef had a much better qualification last year, making it into the Fast 9. He didn’t make the field until the second day this year, but still has a strong car. 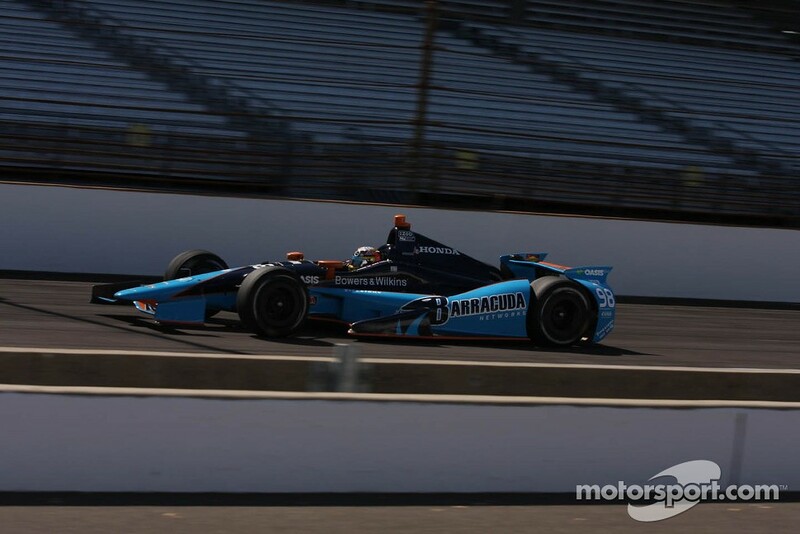 He is sponsored by Century 21 for the 500, and like Dario did last year, Josef is giving up his primary number (67) for a sponsor driven number (21). •26th- 15 – Graham Rahal-Rahal-Letterman Racing – It has been a rough year so far for both Graham and RLR, they have been struggling for speed, and it looks like Indy could be the same. 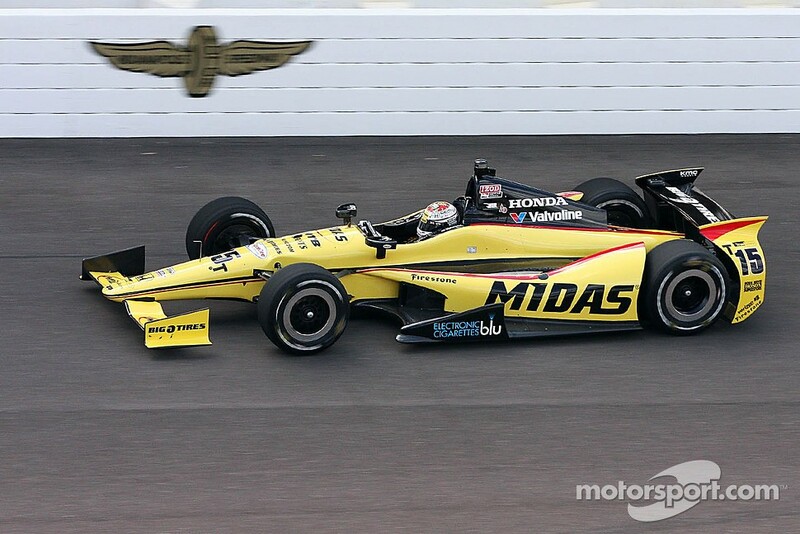 Graham will be driving the Midas car. 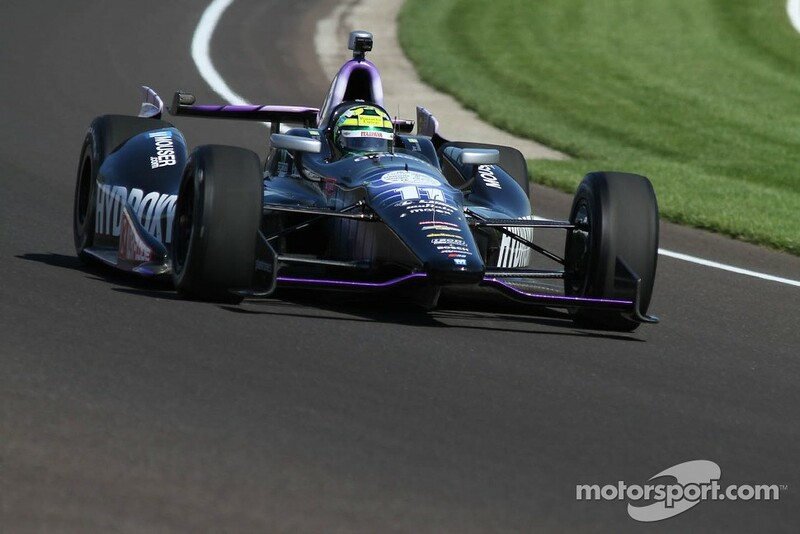 •27th- 6 – SebastiÃ¡n Saavedra-Dragon Racing – Saavedra has yet to run a full season (this one should be his first) and he has jumped around a bit, between BHA, Conquest, Andretti and now Dragon. He was the benefactor of the rather nasty divorce between Katherine Legge and Dragon Racing. 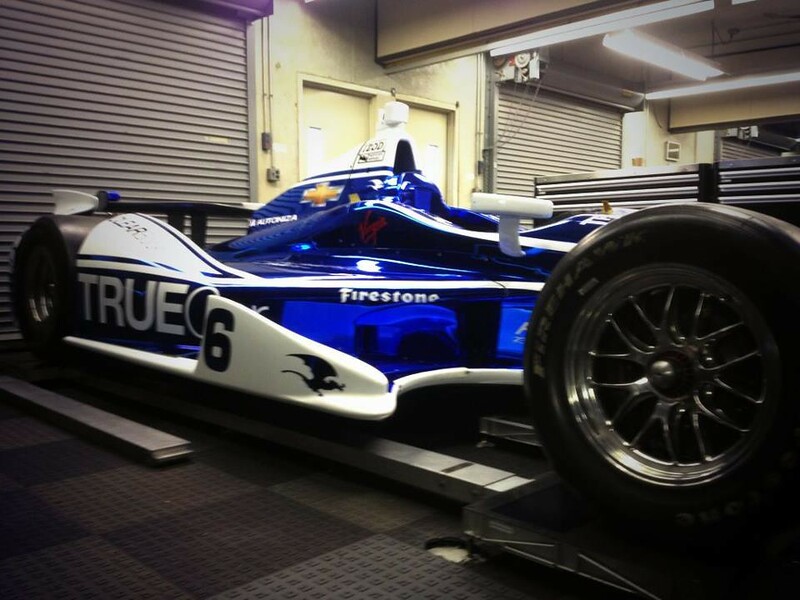 He will race with TrueCar sponsorship. He raced 2 liveries throughout the month, so race day will tell us which one he goes with. •28th- 55 – Tristan Vautier-Schmidt Motorsports – Tristan is a talented racer, following fellow Indy Lights alum and champ Josef Newgarden up into the big cars. 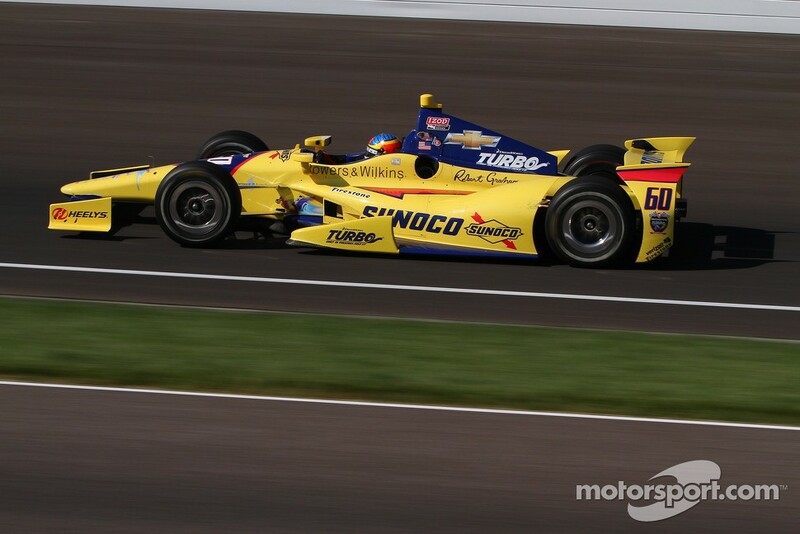 Like Saavedra, Tristan has run 2 liveries too, but that is because his primary sponsor for Indy (Lucas Oil) wasn’t signed until the month at the track had started. •29th- 18 – Ana Beatriz-Dale Coyne Racing – 2011 was the closest thing she has had to a full season, racing everywhere but Barber Motorsport Park. 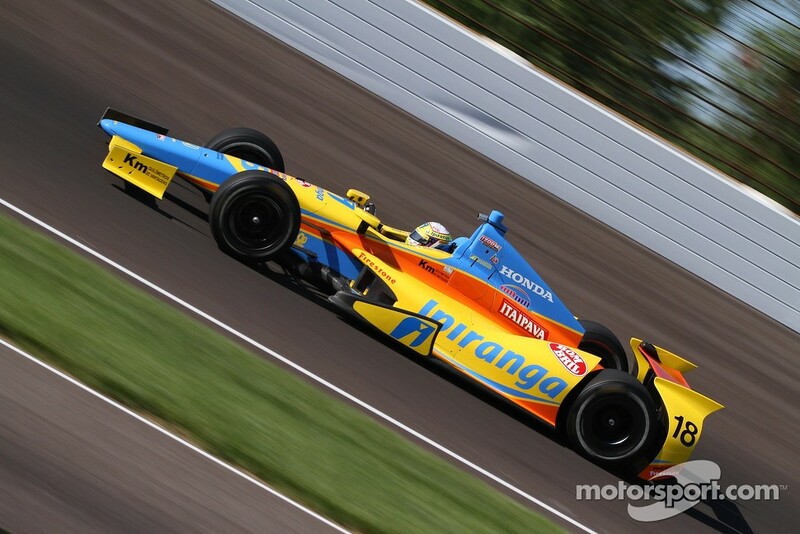 Last season she ran Brazil and Indy in a partnership between Andretti Autosport and Conquest. 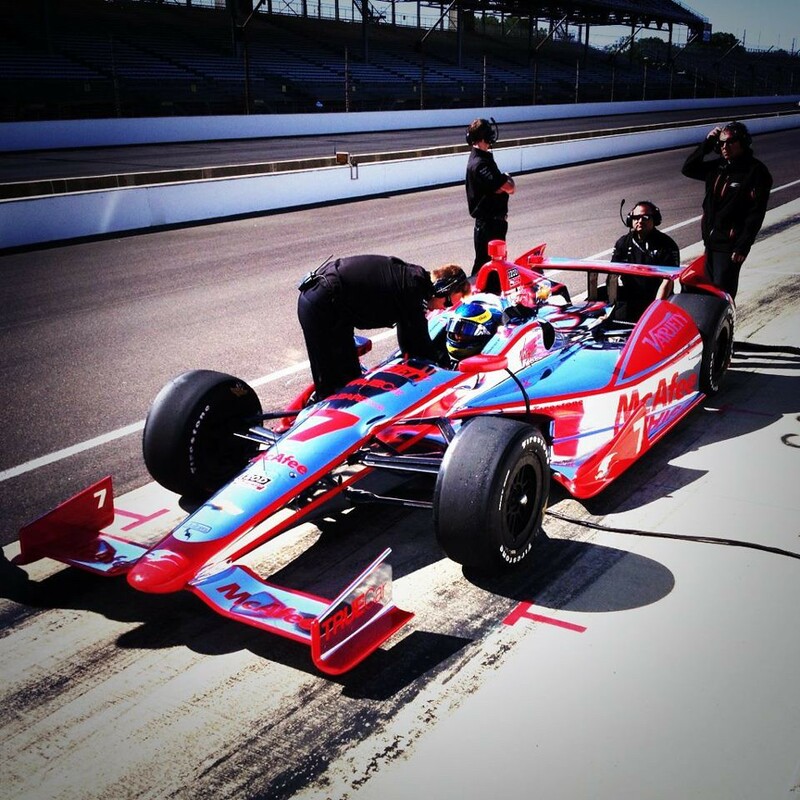 This year she has only been confirmed through the Indy 500, no word on who drives the 18 car after Indy. Beatriz is sponsored by Ipiranga. 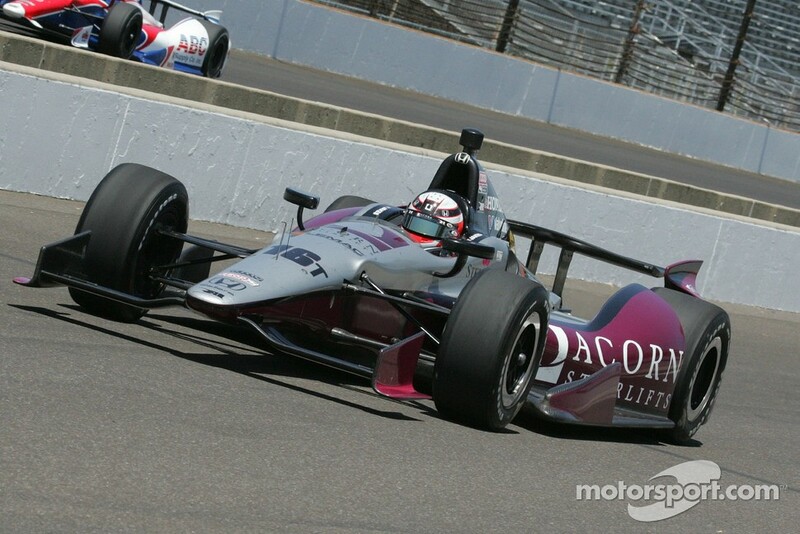 •30th- 63 – Pippa Mann-Dale Coyne Racing – Pippa has been out of IndyCar since the 2011 season. Last year, she was more a victim of the Lotus debacle than anything else. She comes to Indy this year with Cyclops Gear sponsorship. 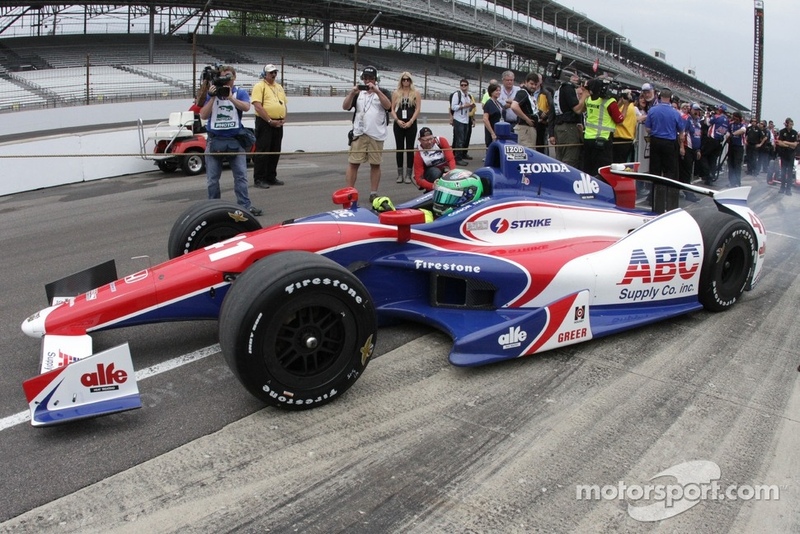 •31st- 41 – Conor Daly-AJ Foyt Enterprises – Conor, son of Derek Daly, got this ride by testing in the pre-season for AJ Foyt. 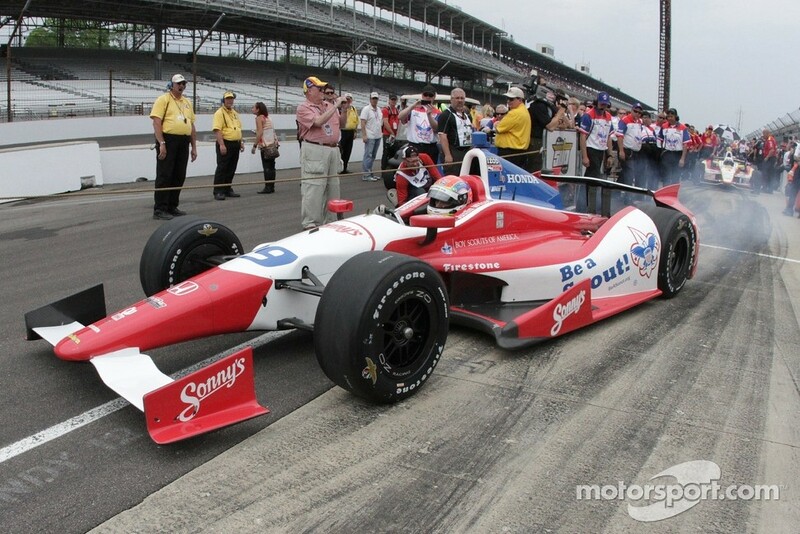 Foyt left the test impressed, and offer the Indy one-off. Daly is a full-time GP3 racer with his immediate sights set on moving up to GP 2 and to F1. Even with those lofty goals, I don’t think this is the last we will see of him. 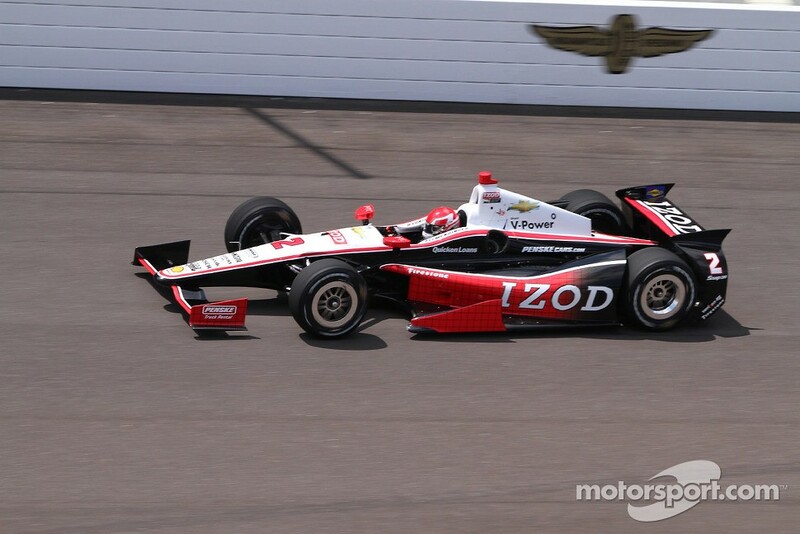 Like with his teammate Sato, his car is near identical. The different sponsors Daly is carrying are Greer and Alfe. •32nd- 91 – Buddy Lazier-Lazier Racing – Buddy returns to the track for the first time since 2008 (2009 saw him fail to qualify). 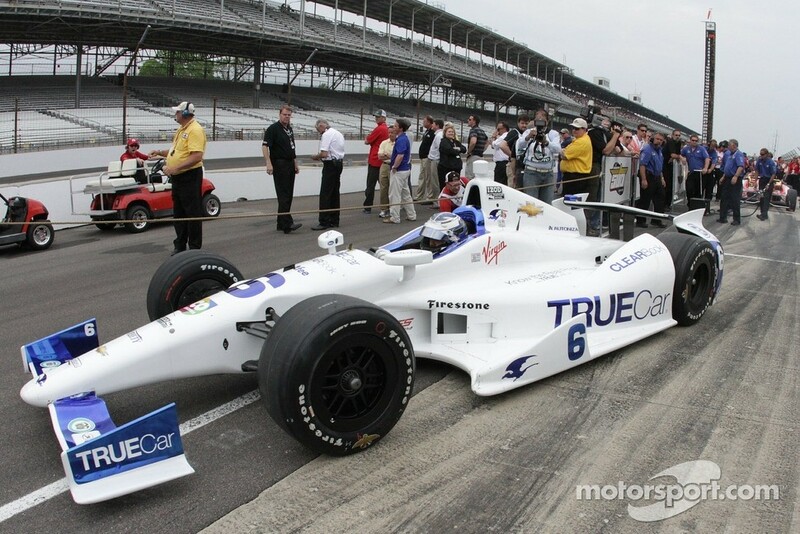 This is the car that Jean Alesi drove for 10 laps last year. It will be interesting to see how Buddy can do, since they were driving different cars since he was last here. He will have Advanced Auto Parts on his car. 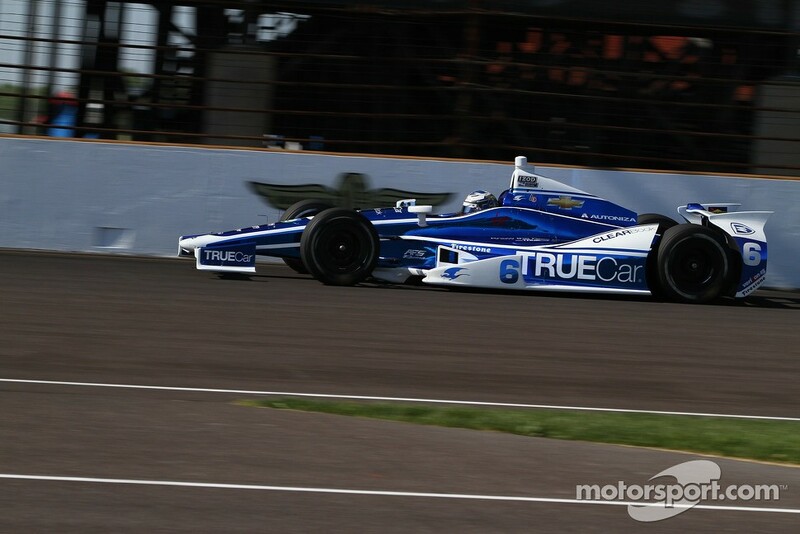 Lazier brought out a new livery on Carb Day, with Blue, Maroon, and White. •33rd- 81 – Katherine Legge-Schmidt Motorsports – This deal came together at pretty much the last minute, and Katherine put in most of the legwork on it. Schmidt was focusing on the 55 and 77 first, and had either of them crashed, there is a good chance this car doesn’t race (At least not as the 81) She didn’t drive the car until Bump Day, and to be as up to speed as she was is impressive. She comes with sponsorship from Angie’s List. 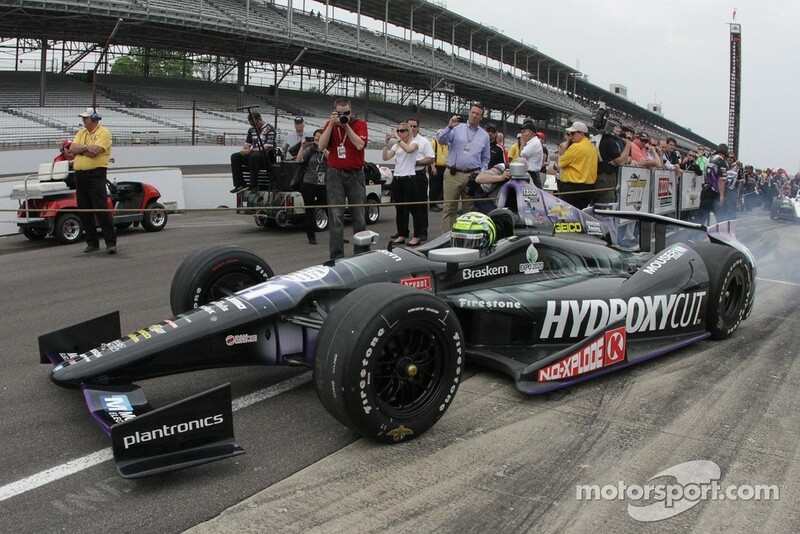 On Carb Day she debuted a new Yellow, Green and Black Livery. 17- Michel Jourdain-Rahal Letterman Racing – He had the speed all month long, but when it mattered most a balance issue crept up that the team couldn’t solve. 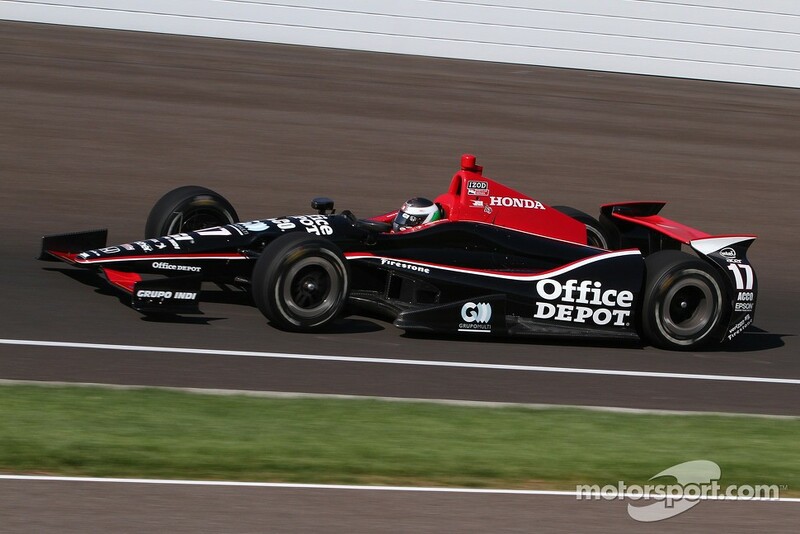 The Office Depot Car won’t see race day this year. Wow. Tremendous job with that Rob. Readers, make sure you heap copious praise on him for his efforts the past two days (even if you don’t give a hoot about racing). Thanks. For those of us interested in watching the race (at least in the States), and you can begin watching the festivities starting at 12:00 noon (Eastern) on ABC. 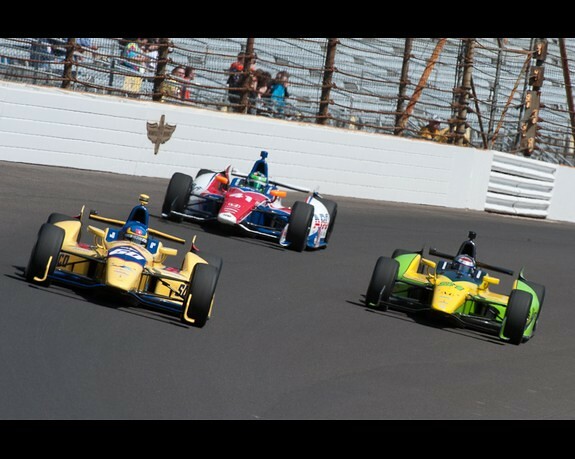 And, if you still thirst for more Indy 500 information, here’s the official website. After a short hiatus, we’re back once again with a Sunday favorite. Earlier this week Paul ran a series of entries regarding Sid Gillman and his contribution/non-contribution to uniforms. I sent in a write-up on the recently released book on Sid Gillman that Paul ran. In that write-up I discussed how Sid re-designed the Univeristy of Cincinnati uniforms to make them more form fitting to reduce the ability of opposing players to grab Bearcat players. Here is a great picture of Bearcat Team Captain Nick Shundich that was taken on the field at Nippert Stadium (the second oldest college football stadium still in use). I think it would be a great photo for the “colorize this” section. Alas, I have NO skills on photo-shop. Perhaps one of your more talented readers can take a crack at it? In last Saturday’s comments to “Colorize This” where there were a few mentions of Latics’ amazing win, Larry B made some kind comments and, noting that Roger Espinoza played at Ohio State, said “Maybe George can do an old Ohio State colorization. haha”. Who says I only do football/soccer? Here you go, Larry; I suspect I got this picture from you originally anyway. The 1897 OSU team in full technicolour. I was just browsing through some old stuff and came across this photo I had quickly colorized for your site. What I was initially drawn to in this photo was the player names on the FRONT of the jerseys. Something I’ve not seen before. That’s it for today. Thanks as always to George & Pete, and welcome aboard Ben. Lets keep those colorizations coming Uni Watchers! Last week, I was really impressed with Josh Weiland’s Spring Training uniform concepts, but lamented the fact that he didn’t replace the Blue Jay’s maple leaf with more geographically appropriate flora. So I took matters into my own hands and swapped the leaf for an orange blossom. Is this the first ever tweak of a tweak in UW history? As a big Indy 500 fan, I came up with this “checkered flag” treatment of the Indianapolis Pacers. The opposing teams are the Wizards, throwing back to the franchise’s best-ever design, the late 1960s Bullets orange uniforms, and the 76ers, combining elements of the team’s best-ever mid 1960s designs with a baseball-inspired cream color for the home uniform. More details on my journal. New Buffalo Bills concept. Keep up the good work. Thanks to all the concepters Back with more next time. And that’s going to do it for this fine last Sunday in May. In case you may have missed it, Jim Harbaugh will drive the Indy 500 pace car today. So, there is that. Everyone have a pleasant day, enjoy the 500 and the playoffs in puck & hoop. Rest up for tomorrow, because MLB will be honoring our war dead by putting all teams in camo. And there’s that too. Today IS the big day of auto sport (by which I presume you mean motor racing) – the Monaco Grand Prix. With Monaco, Indy, and the 600, it’s way beyond the Super Bowl. Don’t forget Rolling Thunder: the Sunday before Memorial Day in Washington, DC offers perhaps the best motorcycle watching of the year. Not as many bikes as Sturgis or Daytona, but they’re mostly on the road in motion, not parked in giant lots at the edges of a downtown party zone. 5th- 2 – AJ Allmendinger-Penske Racing — The first shock in qualifying, not that this talented open-wheeler turned stock car racer qualified well, but that he out qualified his full-time teammates. He hasn’t been stellar in his first 2 races, but the longer practice should help him. He’ll have Izod sponsorship for the race…Hmm let’s see, since 2007 he has been in 200 races, and in that time he has more suspensions for violating the substance abuse policy(1) than he has race wins(0). To be fair David, in NASCAR he raced for some crap teams in Red Bull and Petty until earning his Penske ride (which really wasn’t that great either). Lets not overstate his substance abuse failure, it was adderall, not exactly the hard stuff. Penske is showing his loyalty and belief in him by putting him in his 3rd car. George and Pete; OSU and NYG; plus Plympton. Smell the coffee. That Dunedin Blue Jays concept is fantastic. Agreed, it’s a great idea! Thanks, DJ. A large portion of the credit should go to Josh Weiland as well! Charles Pic just showed why the Nomex suit is mandatory, when his car caught fire by pit road…no injuries. Great stuff as usual, guys! He’s not mentioned, but his research is the basis of the story. Of course – he’s not mentioned because HE WROTE IT. *Sigh. * Last time I try to read the paper on my phone. Yeah…I linked to that story in yesterday’s article, but today it’s in PRINT! Big ups to Paul & Kirsten! 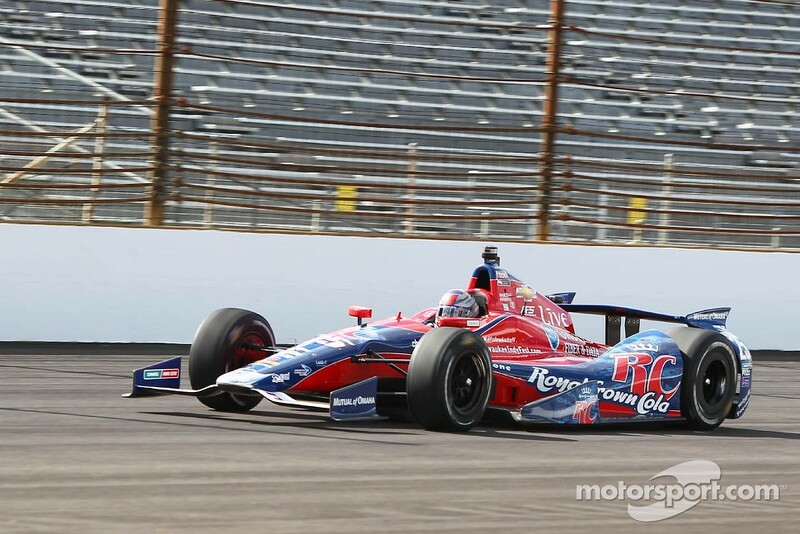 The 600 always has flashy paint schemes, especially with memorial day. Could be cool to do an article on that. England unveil their change kit. Red, with white shorts. Nice. I really like that old school Cinci Bearcats uniform. Those stripes on the shoulders look nice. Another example of a form-fitting football jersey with actual sleeves. Tenz: Those Pacer uniforms are exquisite! Great concept! Yep. Those are pretty great. But red, cream and blue for the Sixers something I hope never happens. The state of my typing skills is in the terlet. It took me several seconds to figure out what was going on with the jersey fronts. Then, WOW! Has anyone else seen the trailer for Rush? They really nailed the vintage driver uniforms and cars! Hoping for a safe race day at the 500 and 600. And first incident in lap 5. Hopefully the car was just loose and not an indication of a bad track/conditions. Track is looking real good…45 lead changes. Yup. Already set a record with 50 laps (well, 44 now) to go. Gonna be one helluva finish. HAHAHA and wow George made my week. I was half kidding when I mentioned George a while back. Meaning I was hoping he would do an Ohio State colorization but if not that was ok. I was seriously happy for you when Wigan won. And to think you were there made it extra special. Great job on the All Stars colorization – but there are two Yankees there, ya know – Bouton and Al Downing. And Torre, of course, a Brave at that point, but as Brooklyn as it gets! Love how they wore their baseball numbers – only place you will ever see 56 on a hoops jersey! Awesome Pacers design. Makes you wonder why they’ve never thought of it before. I’ve just come across this again, and as it’s nice and sunny over here, real cricket weather, I thought I’d post it to help you colonials understand the rules of cricket. When a man goes out to go in, the men who are out try to get him out, and when he is out he goes in and the next man in goes out and goes in. There are two men called umpires who stay out all the time and they decide when the men who are in are out. Wow. Thanks for that, I guess. Cricket, the Edsel of round ball sports. When I first started reading about cricket, I had to adjust to how players “go out” to the field of play and then “come in” off the field, whereas in baseball, players “come in” to the game, and “come out” of the game when someone is substituted for them. It’s like baseball has the players on the field as the center of the discourse, whereas with cricket it’s the spectators. Pete Woychick, those Willie Mays colorizations are awesome. Nice work. I too thought these were really well made. As an Arizona resident, the light is just right… and it matches plenty of postcards and colorized photos of Phoenix from that era. Just read this on mlb.com regarding tomorrow’s GI Joe uniforms. Looks like there’ll be 30 jerseys, but only 29 hats. Why are the Jays being made to celebrate another country’s armed forces, at any rate? It’s part of the invasion plan. First we win the hearts & minds of the Canadian people, then we swoop in and overthrow the oppressive Canadian government and grant statehood to all of the provinces except Quebec. I can already hear the cheer from the QuÃ©bÃ©cois. A television cable fell from above the track, damaged a bunch of cars, and caused a unique red flag so far in the Coca Cola 600.